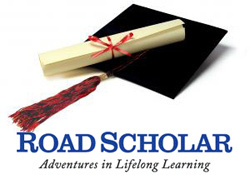 Welcome to AFSA's Road Scholar website! This page will act as a clearinghouse of information for all of AFSA's Road Scholar programs. C﻿ommunications and Marketing Manager Allan Saunders is the point of contact for all of our Road Scholar programs. To the right you will see our upcoming programs, which take place in various locations around the United States. Please take your time as you browse through these and identify the program that most interests you. You can enroll in any program that is open for registration by clicking on the program title. There is also a "Helpful Links" section which includes the essentials if you are traveling to one of our Washington, D.C. programs. You may contact Allan at saunders@afsa.org. He is also available by phone at (202) 719-9712. The address of the American Foreign Service Association is 2101 E Street NW, Washington, D.C. 20037. To contact Road Scholar or to register for a program via telephone, please call the toll-free Road Scholar number, 1 (877) 426-8056. You may also register by sending the catalog form to Road Scholar at 11 Avenue de Lafayette, Boston, MA 02111. Registration is also available through the Road Scholar web site, www.roadscholar.org. If you are interested in the American Foreign Service Association and foreign affairs in general, please consider becoming an associate member. As benefits of membership, you will receive a subscription to The Foreign Service Journal, additional magazine discounts, and an extensive online member area. You may also want to consider signing up for our regular email news messages. Our regular AFSAnet messages can keep you up to date on the Foreign Service. Please be aware that this is not a Road Scholar service, but rather an in-house service of the American Foreign Service Association. To be on the Road Scholar mailing list, please contact Road Scholar via email, telephone, or surface mail. "Foreign Policy for the 21st Century"